More Ranked 2019 talk on Challenger Recall, Autofill and balancing around splits! Since we’ve been talking about Ranked 2019 so much, we’re continuing with a few special editions of Ask Riot so you can get all your Ranked questions ironed out. Keep ‘em coming! Do I keep the Challenger recall forever if I drop below Challenger in the future? Nope! Ok, we’re done here…right? Just kidding! Here’s how the Challenger recall works: As long as you’re actively Challenger, you’ll have the recall effect. We want to incentivize intense competition at the top of the ladder, and we think exclusive, in-game rewards that you only have as long as you hold your spot can be pretty motivating. We thought about basing the recall on past rank or granting it permanently whenever a player gets promoted to Challenger. We felt both options would have been an awesome reward for achieving greatness, but we didn’t think they would be as effective at driving competitiveness during the season. We’re interested to see how it plays out, so we’ll be watching next year to assess whether it’s having the intended effect. How will autofill work in the new Ranked system? Are there any changes? Yes! There are a couple changes—and also yes—autofill still needs to stick around. The only caveat is that these changes only occur with position ranks. First, If you are autofilled and win, you’ll splash a little bit of bonus LP into your main position. The idea’s to make autofill games more meaningful. Second, since we will track performance by position, your autofill games will be much more fair. Put simply, if you main Mid and get stuck supporting, you’ll play at your support MMR, not your K/DA Akali MMR. We talked about details like these over the summer and you can bet we’ll be talking about it more soon. How will the balance team handle the three-split season when it comes to tuning and large-scope changes like preseason and midseason? How are they going to deal with three splits? To be totally honest, we’re not 100% sure yet. Since this is the first season we’ll have splits, our plan is to try some things and adjust based on your feedback. Here’s our current thinking: For players, splits create natural breakpoints where you can set new goals, earn new rewards, or jump back into Ranked. For us, they’re a pretty good opportunity to make necessary changes to the game. That doesn’t mean you should expect to see large changes every split, but generally speaking if we need to make changes that could be a bit disruptive, we’ll try to do it around the beginning of a split and then mostly stick to smaller-scale changes for the rest of the time. 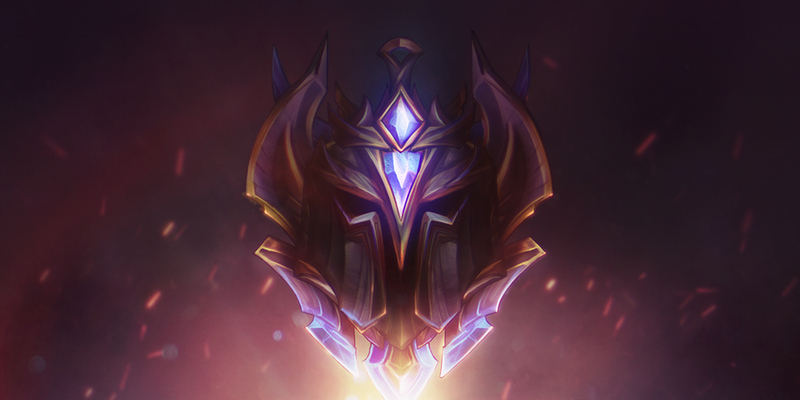 We’ll continue to use Preseason as an important period of downtime to set the foundation for the following year, so that’s when you can still expect to see the largest changes to the game. Next season, if you are Silver and gain the first split upgrade, but in split 2 you reach Gold, does your whole armor set upgrade? Yes! Your armor will reflect your current rank in the queue you’re playing in. So, if you’re gold in Solo, but Silver in Flex, you’ll see different armor sets.